İZBAŞ Board of Directors have assigned Sales and Operations Manager Hikmet Gürsel Bahçıvancılar as General Manager. 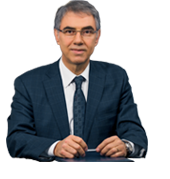 Hikmet Gürsel Bahçıvancılar took office at İZBAŞ in 2001 and was serving as İZBAŞ Sales and Operations Manager since 2011. Bahçıvancılar, stating that he is honored by the decision of İZBAŞ Board of Directors, indicated that he has witnessed many changes and improvements in the Zone during his service. He also emphasized that Free Zone has a high potential with its service quality and advantages for both new investors that will add value to the Zone and User Companies.